RegEx 101 is the overall best tool. 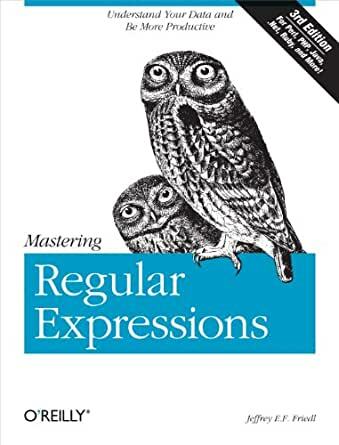 The explanation block clearly explains how each part of your regular expression is interpretted. The syntax highlighting is great, and the UI doesn't have any confusing parts about whether you need the surrounding slashes and so forth. RegExplained has a great railroad diagram visualization of your regular expression. regexr is also handy although not as polished as RegEx 101. Regex Tester has a nice railroad diagram and color coding. Get out there and be glad you may be able to get away without staring at the pages of this book for hours on end.